Ozzy Blackbeard: Butterick B6285 - I made an outfit! Butterick B6285 - I made an outfit! This outfit was finished just before Christmas, and nobody is more surprised about this make than me. There I was, going about my business with the knit fabrics, when I clocked this gorgeous wrap top made by Abi from The Crafty Pin-Up. 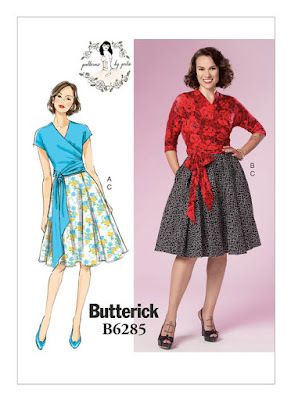 It's from Butterick B6285, and I had to order the pattern immediately. Turns out I loved the skirt too, so ended up making both. The skirt fabric is Greek Key Suiting at £2.99 from The Textile Centre. It was easy to make, and the instructions are great. The seam allowances are pretty big though, which is something to look out for if you're like me, and only glance at the instructions! Thankfully I read through them before starting. The only mods I made were to shorten it by 4", and machine the inside of the waistband down by stitching in the ditch where the waistband meets the skirt. Because of the width of the skirt front, the pattern pieces are cut on the cross grain. I absolutely love the double pleats, they makes for a lovely, swishy, skirt. I made the top exactly as it is on the pattern, and used some jersey viscose from Ebay. It's a bit short though. Turns out Tasha from By Gum, By Golly had the same problem, and has already worked out how to lengthen the top and posted about it here. Then, for good measure, wrote this post about turning it into a surplice top. She's a genius, and I will definately be trying these out. Serves me right for not googling it before sewing it! This hasn't stopped me wearing my top though, and I wore the whole outfit on Christmas Day. I also think it will be nice over a dress instead of a cardigan. I was off for two weeks' at Christmas, which was brilliant, and spent much of the time sewing, so have some more makes to share. Fabulous combo. Can't believe that skirt fabric was only £2.99/m... it's awesome! I love it when an unplanned project turns out so brilliantly! Thank you! The Textile Centre is brilliant! It's so cheap, and their fabric is lovely. Gorgeous outfit! Love both pieces. I have a wrap top ...the SOI Ella and had to lengthen it with an added band. Thanks Diane! I'd looked at the Ella top, and that's a great idea to add a band to the bottom. Brilliant outfit. Shame the pattern for the top cane up short but it does look brilliant! Thanks Sarah! The top really is grand though, and I can just wear a black vest top underneath it. Love the fabric you used for the skirt, it's so dramatic. But the top looks really versatile, I reckon you need a few more in different colours! Thanks Helen! Great minds think alike! 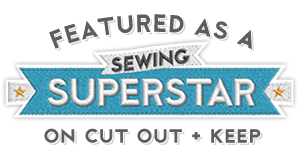 I am thinking of some more tops, and am very keen to try out Tasha's pattern hacks. When I saw your post and the number of the pattern, I thought, "That sounds familiar!" and sure enough I had done the exact same thing after I saw Abi's! I loved it so much I immediately ordered the pattern and it keeps creeping into my head as something I want to make ASAP! I love yours and now you've definitely nudged me a lot. I think I'm just going to have to make one! Thank you for posting that link to Tasha's post re lengthening it because for sure I'll have to do that (I'm 5' 8" and wear a 36F bra :) ) I like the skirt too! I was thinking about making it in a knit with lots of drape to go with the top. Thanks Kathleen! Great minds think alike again! Obviously we have fabulous taste! I'm really short, and the top just comes to my waist, so anybody who is taller would definitely need to lengthen it. Thanks Allys! Always happy to enable!! Yes, I had the same problem with the length of the top and I suspect it is a lot worse with the bigger sizes. Something is very off with the darts. I had to take mine in a lot. I have lost some weight and find that it does sit a bit better now, but I will add a loop to the back to thread the ties through to help keep the back down. If I make it again, I will definitely lengthen and take out the darts. It may have been my material, but I found them a pain to sew and seemed to take me forever. Your have a beautiful outfit there. Thanks Nic! From memory, I don't think that there is much difference in the length on all the sizes, which is odd. That's a great idea to add a loop at the back, I can see how that would work. Wow, what a beautiful outfit for the holidays! I love it with the boots you have on. This one looks to be a home run ... even if you feel the top is a bit short. Great fabric choices for this pattern. Thanks Rosie Lynn!! I'm delighted with the skirt fabric, I think it suits the pattern very well. And I love those boots too because they actually fit my little feet! Another great outfit, Lynne! I really like the idea of wearing the top over dresses too - could extend the seasonal life of sleeveless dresses! Thanks Helen! 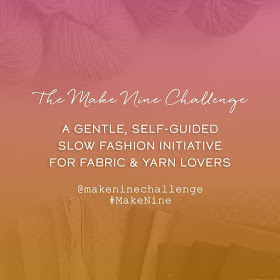 I'm going to try it with the red sleeveless wool dress I made last winter, I they'll be nice together. Lovely outfit Lynne! I've wondered about trying out this pattern before, so it's nice to see it made up and worn. I might have to treat myself some time soon! Thanks Ruth! I think this would be great pattern for you!